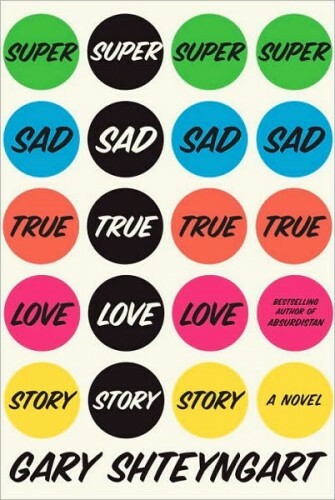 No matter what you might guess from its title, Super Sad True Love Story isn’t a novel of teenage romance. It’s not even a YA novel. It’s a dystopian, near-future, catastrophe novel, the wrenching story of America’s final transformation into a crumbling, third-world nation willingly turning itself into a police state in an attempt to clear out the poor, the immigrants, the homeless who have dragged our international credit rating down to the point where we can’t even get a loan from China, which has now become the leading world power. It ends in cataclysm and horror. But Gary Shteyngart, its author, is a satirist of darkly comic sensibilities, so that’s not how he tells it. Instead, he tells it as the story of a 39-year-old, unmarried Jewish male named Lenny Abramov, who comes across as a somewhat chunkier, balder version of the character Woody Allen has played in so many movies (and who I suspect bears some resemblance to Shteyngart himself). Lenny falls wildly in love with a 19-year-old American teenager of Korean ancestry named Eunice Park that he meets during an extended trip to Italy (a much nicer place to be at this point in future history). He can’t stop thinking of her when he returns to the U.S., where he learns that the country has put itself in the hands of someone referred to only as Defense Secretary Rubinstein, who has stationed troops in the streets of Manhattan and gunboats in the Hudson River. All trappings of the militarized state are accompanied by signs that read “It is forbidden to acknowledge the existence of this checkpoint/vehicle/whatever (‘The Object’). By reading this sign you have denied existence of the object and implied consent,” a policy known to the general public as “imply and deny.” If Shteyngart even makes mention of the U.S. having a president at this point in the near future I missed it, so Rubinstein has apparently effected some kind of military coup. But Lenny, a second generation Russian immigrant, doesn’t have time to be worried about any of this. He worries mostly about three things: The first is his credit rating. In Rubinstein’s America your credit rating is of such paramount important that it’s automatically announced by street signs as you walk past them. God forbid you should be mistaken for a Low Net Worth Individual (LNWI, or what we used to call “poor person”). Fortunately Lenny’s credit rating is high enough to keep him out of the LNWI class, if not quite high enough to qualify him as an HNWI (High Net Worth Individual). The second thing Lenny worries about (and once again he bears a striking resemblance to Woody Allen here) is death. He’s so afraid of growing old and dying that he’s taken a high-ranking job with a company called Post-Human Services that offers rejuvenation services and potential immortality using the latest nanotechnological cell-reconstruction techniques. These techniques are so expensive that they only market them to HNWIs, so ironically Lenny can’t afford his own product. However, his boss and long-time mentor Joshie can. Despite being thirty years Lenny’s senior, Joshie is youthful, vital and passes for Lennie’s younger brother. Eventually he will also become Lennie’s romantic rival. The third thing Lenny worries about is Eunice Park, the Korean-American teenager he met in Italy, a second generation immigrant herself and essentially an LNWI with an uncertain future. Eunice has just broken up with her boyfriend in Italy and, when she moves back to the states, Lenny convinces her to move into his small Manhattan apartment with him. Although Eunice recognizes that Lenny is a bit age inappropriate for her, not to mention bald, overweight and fairly unattractive (she calls him “nerd-face”), she also discovers that she feels a certain affection for him, perhaps as a father substitute (her own father is cold and violent) or perhaps just because she needs someone who, unlike her boyfriend in Italy, loves her more than she loves him. Super Sad True Love Story is told as a kind of epistolary novel, a mosaic of entries in Lenny’s diary and the text messages exchanged by Eunice, her family and her friends over an email/chat system known as GlobalTeens. In the first two-thirds of the book, the sheer denseness of the (often comic) detail that Shteyngart accretes from these fragments of text to describe Lenny’s life and the state of the world around him frequently threatened — I have to be honest here — to overwhelm my ever-tenuous attention span. But in the last third of the novel the true horror of the situation that Lenny and the narrow world around him (which consists mostly of Manhattan, Queens and Long Island) are in begins to sink in and the novel stops being biting satire and becomes something deeper, more resonant, something almost terrifying and, yes, super sad. Much of what happens in Super Sad True Love Story is frantic almost to the point of chaos, but Shteyngart ends it on a reflective note that could almost be described as elegiac (look it up if you have to) in a way that makes a touching sense of the romance between Lenny and Eunice in the context of the self-destruction of America. This denouement provides the kind of emotional summing up of the novel’s events that the reader desperately needs after the comic/frightening intensity of much of what precedes it. It wasn’t until then that I realized that, yes, I really did quite like this book. Posted in book reviews, books, disaster fiction, dystopian fiction, gary shteyngart, reading, satire, science fiction, super sad true love story and tagged book reviews, books, disaster fiction, dystopian fiction, gary shteyngart, reading, satire, science fiction, super sad true love story. Bookmark the permalink. I have never read a complete novel by William Gibson. I suspect many people will react to that statement with a simple “So what?”, but a small subset will wonder why I would dare make such an admission in public. Have I no shame? 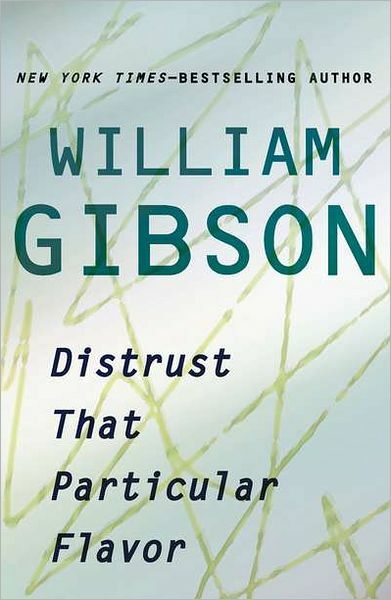 Gibson, when he arrived as a science fiction writer in the early 1980s, brought to the field a fusion of the traditional science fiction that he’d read when quite young and the beat generation prose of writers like Jack Kerouac and William Burroughs that he had learned to love in his adolescence. In his 30s, Gibson became part of a small group of writers who developed a form of science fiction known as cyberpunk (Gibson himself coined the term “cyberspace”) and in so doing actually succeeded in making science fiction hip. The main point of cyberpunk was to remove modern electronic technology from the hands of geeks and office workers and take it, as the Doobie Brothers once said, to the streets. If the future was going to be about computers in all their possible forms, what forms would they take when they reached the fringier elements of society? Why I’ve never been able to read an entire Gibson novel has never been quite clear to me. I actually made it halfway through his first one, Neuromancer, when it came out in the mid-80s and then simply didn’t pick it up again. I’ve started a couple of others with pretty much the same results. Yet I still want to read Gibson because I think the man is highly articulate, in touch with some important elements of the technological zeitgeist, and has some interesting things to say. So when I heard there was a collection of Gibson’s essays on the market, I knew I had to read it. The problem is that Gibson isn’t really an essayist per se. He’s a fiction writer who gets asked by certain publications (often Wired) to write essays or who just writes random pieces of nonfiction to fill spaces where brief bursts of nonfiction are needed, like the introductions to books or as filler pieces in special issues of Time. Distrust That Particular Flavor is a collection of these random pieces and it’s about as mixed a bag of nonfiction writing as one could assemble without leaving the print medium altogether. I suspect if Gibson had ever written copy for the back of cereal box packages it would have been included in this collection, but fortunately he never has. Where Gibson really endeared himself to me, though, was in a short piece on Steely Dan’s album Two Against Nature, written for…well, I’m sure it says somewhere in here who he wrote it for, but I’m too lazy to go find it. It’s clear from this fragment (it’s too short to call an essay and Gibson himself admits that it’s not a review) that Gibson feels about Steely Dan almost exactly the same way that I do, which is to say that they exist outside anything that contemporary music ordinarily offers and are seriously warped in a way that people listening to them don’t always seem to recognize but that precisely matches the way that a few of us listening to them are warped. I’m willing to make another attempt to read Gibson’s fiction just because he claims to have “always maintained that Steely Dan’s music was, has been, and remains among the most genuinely subversive oeuvres in late-twentieth-century pop.” Yes, it is, and if Gibson can do anything as genuinely subversive in fiction at as high a level as Walter Becker and Donald Fagen do it in music, then I owe it to him, and to myself, to read it. Posted in book reviews, books, cyberpunk, distrust that particular flavor, essays, reading, science fiction, steely dan, william gibson and tagged book reviews, books, cyberpunk, distrust that particular flavor, essays, reading, science fiction, steely dan, william gibson. Bookmark the permalink.